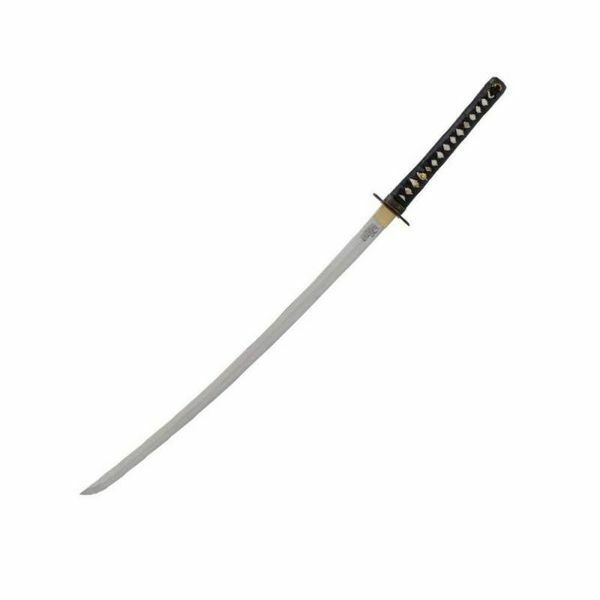 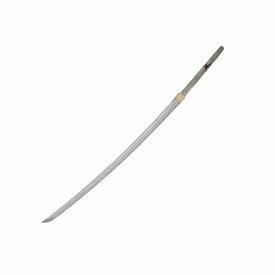 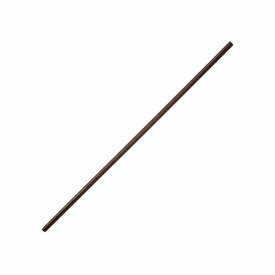 This elegant katana has a length (without scabbard) of 103 cm. 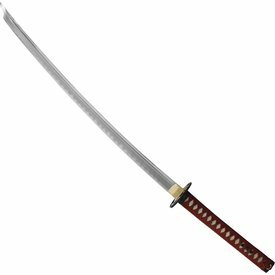 The length of the blade is 73 cm with a grip (tsuka) of 29,5 cm. 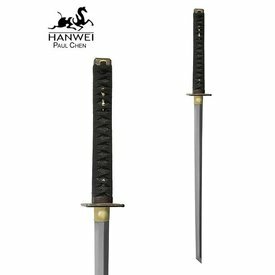 It weighs 1200 g.
The blade is made of 1045 carbon steel with a decorative line (hamon) in the Shinogi-Zukuri style, without a fuller. 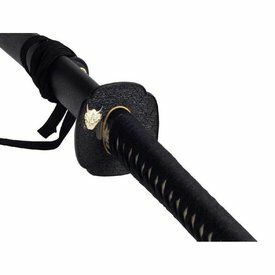 The wrapping of the grip is made of black leather in the classical Hineri-Maki style, underlaid with genuine shagreen. 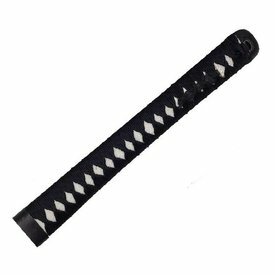 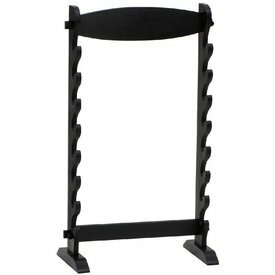 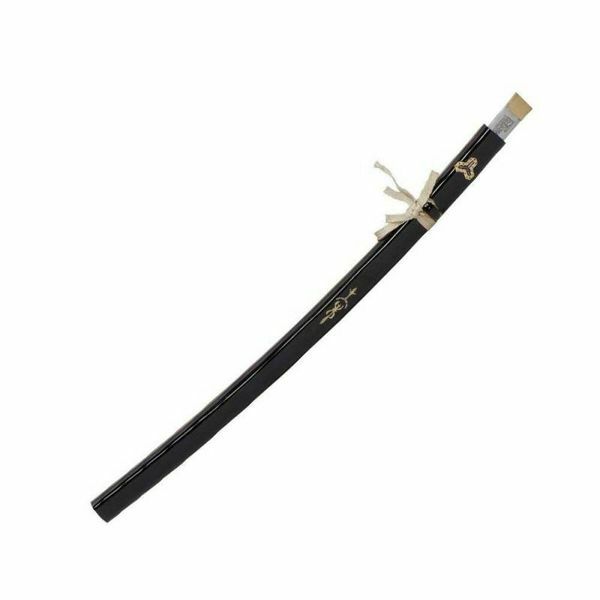 The scabbard (saya) is black high polish lacuered in the Kuroro style. 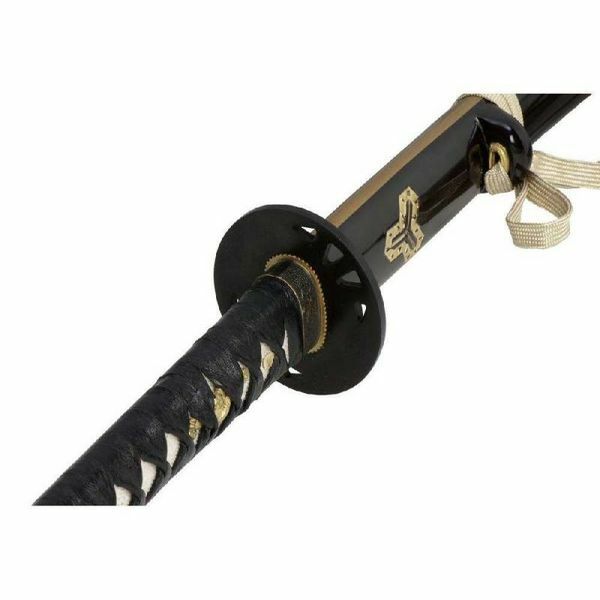 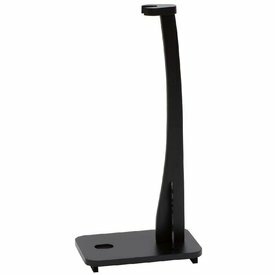 This katana is delivered including a striking collector`s box with a high polish lacquered stand and a care set.